Participants are encouraged to bring water in a half gallon sports jug and hydrate throughout practices and games. Mats are used during practice and games and coaches and junior coaches are trained to promote a safe learning environment for our participants. 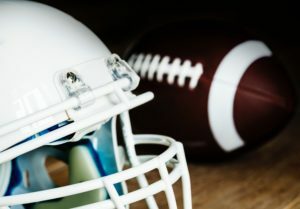 A football helmet can help protect your athlete from a serious brain or head injury. Learn about best practices. For more information on safety, please visit the links below.